This past weekend was Sydney’s 8th birthday. 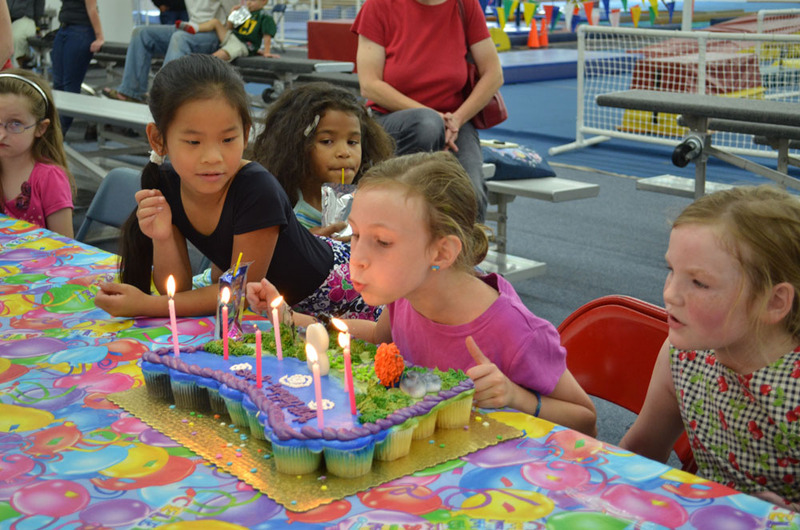 She had her party at an indoor gymnastics gym and everyone had a great time. This is her last birthday party “at home” so it was a special one. Next year, we have no idea where it will be or who it will be with. On Monday I gave notice at work. For the past four days I have been trying to figure out how I feel about that. I have worked for the same employer for 12 years, been planning to do long term travel with my family for 5 years, and have been blogging about it openly on the internet and on social media for the past 2 years. Yet, not one co-worker knew about it and it came as a total shock to everyone; just as planned. I had always wondered if someone would stumble across our blog and ruin the surprise, but it never happened. I had fantasized about giving notice for 5 long years and had always wondered about how it would go down. But, the day came, the dirty deed was done, and the day ended. And now I can’t figure out how I feel about it. I had planned to give notice the day after the sale of our house was finalized. No sense giving notice and having the buyer back out at the 11th hour and then try to tell my employer than I am actually going to be sticking around for a bit longer. That could have been ugly! The house was finalized last Thursday and Kerri told her boss that day. I was planning to give notice the next day, which was a Friday. They say it is best to fire someone on a Friday, as they are less likely to go postal. I figured that might be the same for giving notice. So Friday it would be. Unfortunately, I woke up Friday morning sicker than a dog (where did that saying come from?) and had to call in sick. On Monday I showed up to work and saw that my supervisor was out for the day, and the director had called an emergency staff meeting at 9am. Perfect time to drop the bomb! I went to see the Human Resources Manager and told him I needed to discuss something, but since I was still pretty sick, he probably didn’t want me in his office. I told him I would send an email. In the email I told him that I was officially giving notice and when my last day would be, and then explained that I was not quitting because of another job offer, but because we are taking a 2-year sabbatical to travel around the world. The first word in his response was, “Wow!” The next was about being jealous. Over the last 4 days word has spread at work and everyone keeps telling me congratulations and telling me about their own secret desires to do what we are doing. I keep hearing the term “Wow” and “Jealous” and I keep wondering if this will start a new trend and others may take off on their own sabbaticals. Why wait for retirement, right? Today our daughter is celebrating her 8th birthday; a day we’ve been waiting over 5 years for. But what is so special about 8, you may ask? At 5 you enter school, at 13 you become a teenager, at 16 you can drive, but what happens at 8? For us, and many other travelers, 8 is a very special age. This is the perfect age for a child to travel the world. Years ago, when we were avid sailors, we read every book, forum, blog, website, newsletter, and magazine we could find on sailing; and especially anything we could find on families cruising around the world. We were planning to go cruising as a family for a year or two in the Caribbean, and possibly wherever else the trade winds carried us. When a family decides to take their kids cruising the first question asked is, “What is the perfect age to take a child cruising?” Although kids of all ages have sailed around the world on their parent’s boats, the general consensus was that 8 years old was the perfect age. Old enough to lend a hand on the boat, old enough to remember the trip, a good age to be homeschooled easily, and not too old that they will hate being stuck with their parents for 24 hours a day on a small boat. That age sounded good to us, so we made a decision to go cruising when our daughter turned 8. We refinanced our house to pay off the principal quicker and setup a savings plan that would have us leaving around that time frame. But shortly after making the decision to go cruising, disaster struck. The mast on our sailboat broke and came crashing down causing lots of damage to the boat. Fortunately, Kerri and 2-year-old Sydney were safely down below in the cabin. Our crewmate and myself, who were on deck at the time, were lucky to not get hurt by the falling mast and rigging. After dealing with the boatyard, insurance companies, lawsuits (long story), and a drained bank account we soon realized that one mishap while cruising could easily break us physically and financially. We started looking at other options and started looking into buying a barge and barging through Europe using the well-maintained canal systems. But, a boat is a boat, and you can only stay in Western Europe for 90 days before you need to leave and wait another 90 days before re-entry. We would like to try barging through Europe at some point, as it does sound like a great adventure, but it wasn’t going to work out for long-term travel. After looking at all of the options we decided to do what we know how to do best; travel as tourists! Not only is it a more flexible option, you don’t need to worry about the upkeep costly repairs of a boat. We decided to keep with the same time schedule and leave when Sydney turned 8. Even though we were not going cruising on a boat, 8 years old still seemed like the perfect age for world travel. Old enough to carry her own bag, old enough to remember the trip, a good age to be homeschooled easily, and not too old that she would rather be hanging out at the mall with her friends. When Sydney was 2, her 8th birthday seemed so far away. It’s amazing how fast the time has flown by. In just 10 years from now she will be leaving for college and starting her own life. 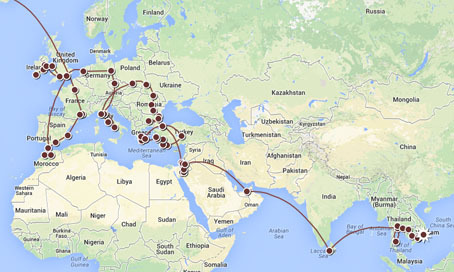 We are really looking forward to spending the next 2 years traveling and spending quality time with her. The adventure and memories we will share as a family will truly be priceless. 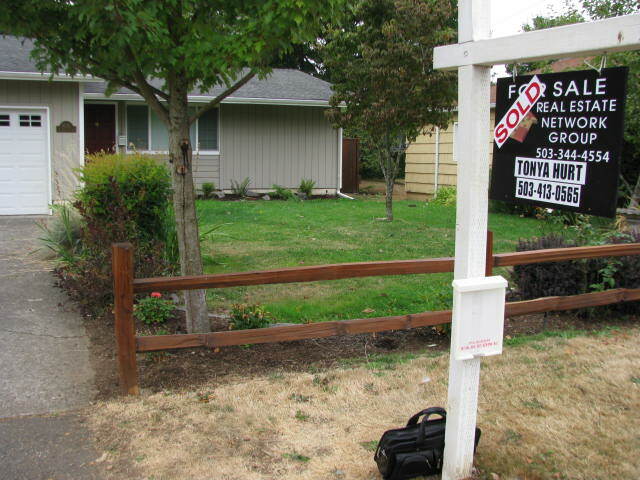 Photo of the Week: SOLD!!!!! If anyone in the Portland area is looking for an excellent real estate agent, we highly recommend our agent, Tonya Hurt at http://tonyahurt.com. She really knows what she is doing and did an excellent job of selling our house. Thank you, Tonya!!!! A few years ago we were walking down a secluded beach on the Big Island of Hawaii. We came upon this massive green sea turtle laying on the beach enjoying the warm sunny day while the turquoise water gently lapped at the shore. I slowly walked up to this massive sea turtle, got down real close, and took the photo. It never even budged an inch. It was really amazing to be so close to such an impressive creature. The reason I chose this as the photo of the week is that I just sold a framed version of it. Over the years we have taken some of our favorite photos, printed, framed, and hung them on the walls inside our house. At our estate sale this past weekend, I decided to slap some price tags on some of those framed photos. And… someone bought one. I have sold digital photos, and long ago took and sold portrait photos. But, this was the first time I have sold some of my recent printed work and it’s a great feeling. Whoever purchased this photo, I really hope you enjoy it!